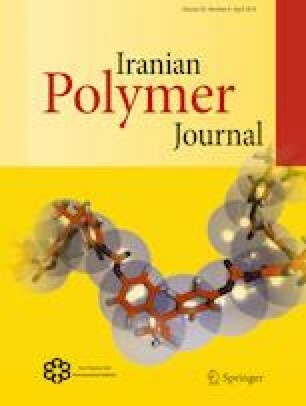 Bionanocomposites based on poly(lactic acid) (PLA), plasticized with commercial tributyl o-acetyl citrate (ATBC) and containing hydrolyzed collagen (HC) up to 10 wt% and silver nanoparticles (AgNPs), were prepared by a melt mixing procedure. The properties of antimicrobial PLA based formulations were investigated in terms of morphology (atomic force microscopy, AFM), mechanical, thermal (differential scanning calorimetry, DSC), spectral (by attenuated total reflectance, Fourier-transform infrared spectroscopy), cell proliferation (by flow cytometry) and immunohistochemical properties induced by collagen. The incorporation of HC into antimicrobial PLA biocomposites led to the slight reduction both in mechanical properties and the degree of crystallinity with respect to those of PLA/ATBC sample. These properties can be attributed to the smooth surface improvement of the bionanocomposite. In vitro testing using L929 fibroblasts in the presence of PLA-based bionanocomposites showed that all samples presented good biocompatibility, as it was indicated by the cell cycle distribution and DNA content analyses. Furthermore, these new biocomposites induced an increase of collagen production in vitro. Overall, PLA/HC5/AgNPs and PLA/HC10/AgNPs bionanocomposites showed very good in vitro biocompatibility, and therefore, could be considered as valuable materials for medical devices, such as tubes, catheters, drains or connectors, with a relatively long service life. This work was supported by a grant of the Romanian National Authority for Scientific Research, CNDI-UEFISCDI, project number of 164/2012.